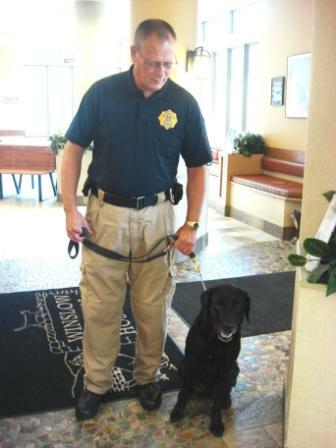 Ashes and his handler, Rod, came to visit Winslow Animal Hospital for his vaccines Tuesday. Ashes is a 6 year old Lab who works for the State of New Jersey Division of Fire Safety. 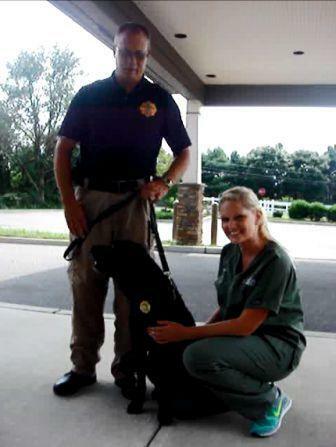 His duties include arson investigation and cadaver retrieval. Ashes got to have an appointment with Dr. Chachkes! LifeLearn Admin | Pet Stories, Staff, What's New at Winslow Animal Hospital!